Southwest Boulevard is a street with great potential, but the high volume of fast moving traffic, long crosswalks, interstate viaducts, and other barriers don’t encourage the most pleasant pedestrian experience. 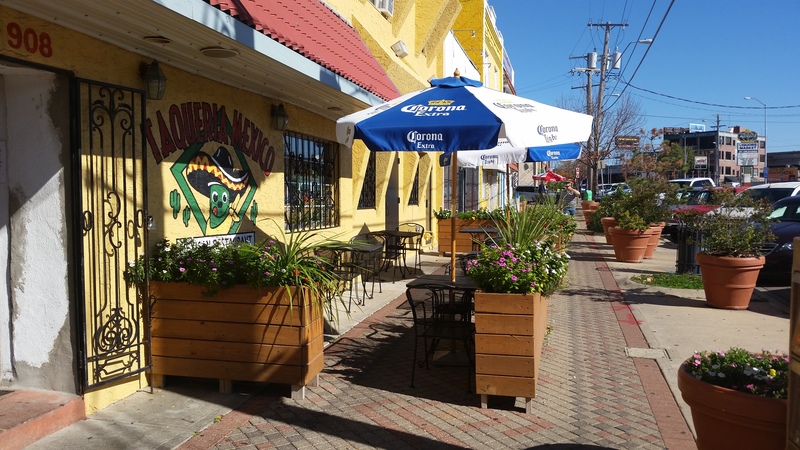 Cheers to Taqueria Mexico and other businesses along Southwest Boulevard for actually making the street a pleasant and inviting place to be. This recent photo shows how much different just a few pieces of furniture can make, with planters, tables, and umbrellas completely transforming the experience of the street. What better way to welcome visitors to your Downtown entertainment district than to force them in to traffic? The Power and Light District sidewalks are already notorious for narrow widths, buckling pavers, obstructions, and their ever-evolving surprise topography, but this sidewalk on Walnut Street might be the worst. Infrastructure on sidewalks can be tricky, and some places have more success than others consolidating utilities and amenities in a narrow zone that allows clear passage. In this spot, however, the indifference to the actual purpose of the sidewalk almost becomes malevolent. 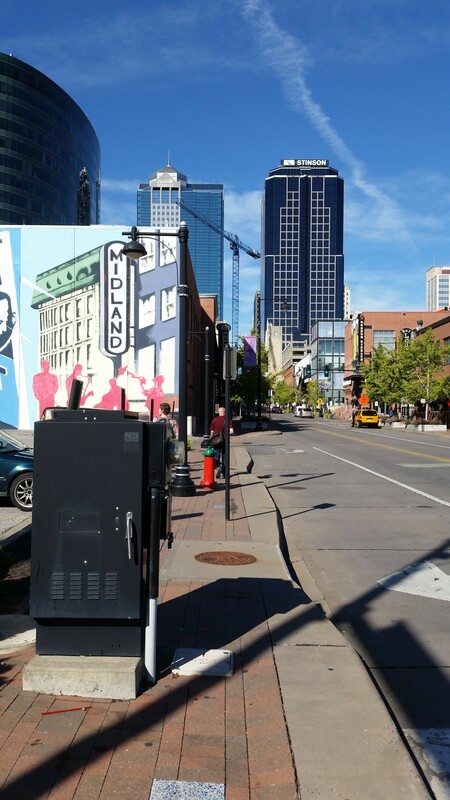 On top of the typical narrow widths and uneven surface, utility boxes, signs, fire hydrants, and light posts are actually places so to prevent even the most convoluted. And if you are in a wheelchair? Well you are just not welcome here, it seems.